1895 saw the creation of Rugby League, at an inaugural meeting at the George Hotel, in Huddersfield. The Northern Rugby Football Union was established as a breakaway faction of England’s Rugby Football Union (RFU). 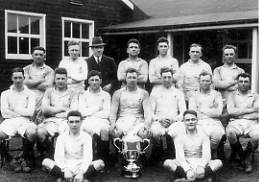 Both organisations played the game under the same rules at first, although the Northern Union began to modify rules almost immediately, thus creating a new faster, stronger paced form of rugby football. By the second half of the 19th Century over 50% of the rugby clubs in England were in the north of the country; the game being very popular with the working classes. This was continued with the break-away and formation of the Rugby League in 1895. With our recruiting tradition already in the West Riding and the establishment of the Depot in Halifax in 1877 it was not long before the Regiments tradition of playing rugby began, with the 2nd battalion gaining early honours. This reputation and strength was constantly enhanced by the recruitment of officers with a flair for rugby. In those far off days of Rugby League, the thirteen-a-side game was played by all the elementary schools of Yorkshire, and thus the depot recruited a steady stream of recruits who played rugby. Because of this rugby ability the 2nd Battalion became the initiator of serious Regimental Rugby. 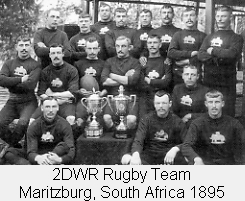 The Regiment went on to cement its soldiering and rugby prowess in South Africa and India. In India between 1904 and 1914, the 1st Battalion won the Calcutta Cup nine times, the Madras Cup seven times and the Bombay Cup six times. 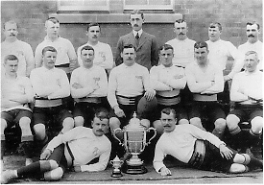 The 2nd Battalion won the first ever newly instituted Army Challenge Cup in 1907. Since then the Regiment has won the Army Cup 14 times and have been runners up a total of eight times. 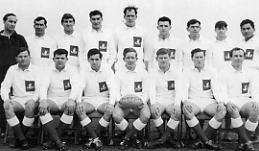 In the Regiments heyday it won the Army Cup four years in a row, 1965 – 68. However, the Cup eluded us after 1981. To celebrate the Regiments Tercentenary in 2002 the ‘Dukes’ took 30 players to New Zealand for a six-week tour playing both New Zealand Military and Club sides. Since the early days the Regiment has produced an impressive amount of international players, repreenting England, Ireland and Scotland. 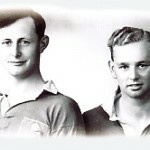 CF Grieve and FJ Reynolds toured South Africa in 1938 with the British Lions. Brian Curry played for England in 1959, whilst Jack Scroby played for Great Britain and the army, as did Roy Sabine. Norman Field played for Great Britain in 1963 and later for Bradford Northern and Halifax. 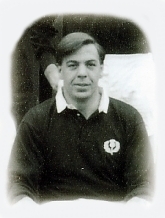 In 1965 Charlie Renison played for both Scotland and Great Britain. 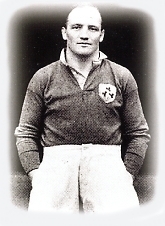 In the same year Arthur Keegan played for Great Britain. Yet our most successful player was MJ Campbell-Lamerton who toured with the Lions to South Africa in 1962 and Captained the Lions in Australia and New Zealand in 1966. 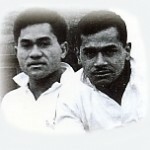 At one point in the 1950s England’s Half Back pair was DW Shuttleworth and EMP Hardy, who provided continuity to both England and the Dukes. Brigadier DW Shuttleworth became President of the Rugby Football Union in the 1985/86 season. Arthur Keegan (served late 50’s) Later coached at representative level for Yorkshire and Bramley. The ”Dukes’ have produced over 50 players that have been capped for the Army against the Navy and the Air Force since 1914. 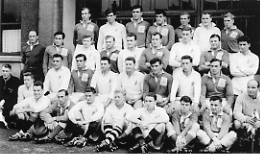 The Battalion’s Northern Ireland Tour of 1957-59 saw the Battalion play Club Rugby across Northern Ireland. As the tour drew to an end Ulster honoured the Regiment by playing the Battalion at Ravenhill. The team, Captained by Capt Gilbert-Smith, produced an outstanding performance resulting in the Battalion taking a well deserved victory with a score of 19 to Ulster’s 8. Whilst stationed at Osnabruck, West Germany, from 1965 to 1968, the Battalion had four consecutive victories in the Army Cup. 1DWR (15) – 7RHA (20). ‘Albert’, a carved wooden Indian elephant was the rugby team’s mascot. He was kept in the Warrant Officers’ and Sergeants’ Mess and paraded at each rugby match, He was the longest-serving supporter of the rugby squad.